Have you tried McKroket and Milkshake Limoen before? Like many people around the world, I've succumbed to the temptation of McDonald's, thanks to globalisation. I've always been interested to discover the menu offered by the Golden Arches in different parts of the world. Let's see what the Netherlands has got to offer. 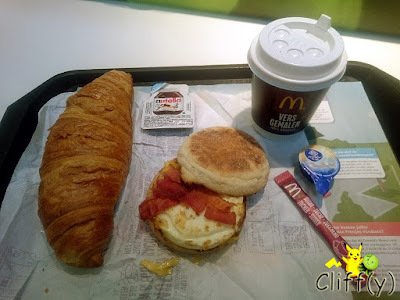 The Amsterdam breakfast set comprises McMuffin with bacon and egg, croissant and a cup of coffee. While the McMuffin was somewhat dry, the freshly baked croissant was crispy and buttery, going well with the lovely Nutella spread. The coffee was pretty strong and aromatic. Pika's advice: Not of a fan of Nutella? You can opt for butter and strawberry jam instead. 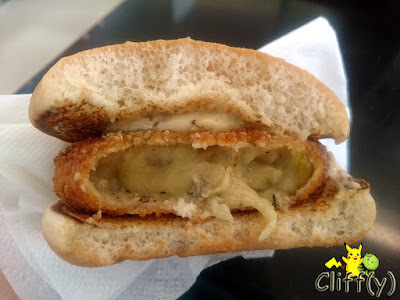 Croquette on a bun? Sure! 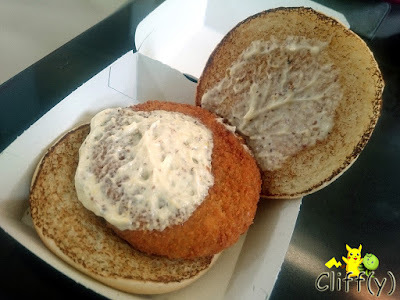 McKroket comes with a croquette patty topped with something akin to Dijon mustard, though not as strong. Biting into the patty revealed something akin to beef ragout, though there wasn't much of the minced red meat. It wasn't as creamy as the one I had at Dutch Kitchen. 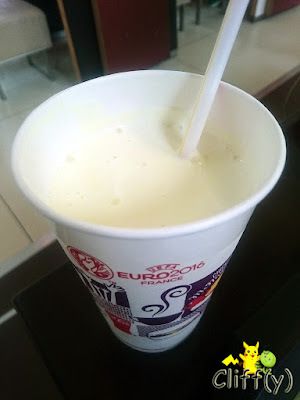 It'd been a long time since I had milkshake since I've been watching my weight (no, kidding!). I must say that the lime milkshake was awesome. Enjoyably creamy and frothy, it had a nice sweet and sour balance. 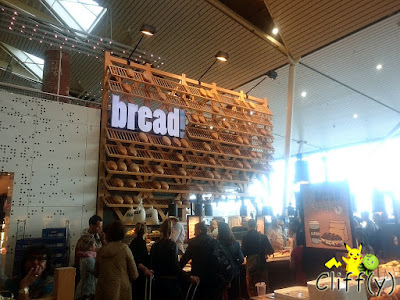 The bread shop downstairs has an interesting design, I feel.